As Your Marietta Bail Bondsman? We are dedicated to helping the families of those arrested get through the challenging and emotionally difficult time of arrest with quick and professional release from jail. We provide support and appropriate information 24 hours a day, 7 days a week! We are professional, caring, courteous, confidential, and closely connected with the judicial system. Our promise to you and your family is to do whatever it takes to get the job done, while providing comfort and ease throughout the experience. We are fully licensed and insured, and approved through the Georgia Association of Professional Bondsmen. 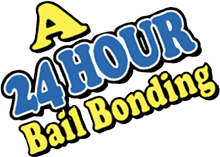 Contact us for easy payments and creative, flexible bail arrangements! Collateral is not needed. Courteous Service – Call us with your questions. Our friendly staff is available to help walk you and your loved ones through the bailing process. Unmatched Rates – If you find a lower rate, we will meet or beat the offer! Flexible Payment Terms – Payment Plans Available. Call today for details. Two Decades of Experienced Bondsmen – Serving Cobb County 20 Years. All bondsmen have a minimum of 5 years experience. Approved under the Georgia Association of Professional Bondsmen (GAPB). Available 24 Hours, 7 Days, even on holidays!